G&L Trophies and Gifts is a fire and cop shop founded by a retired firefighter and a retired police officer. Our headquarters is in Oak Lawn IL, and it serves the entire Chicago area, while the online arm ChicagoFireAndCopShop.com serves clients from all over the world. With over 30 years in existence, we have been serving the community by providing quality fire and police gifts at affordable prices. Gene is the founder and past owner. He is the G in “G & L”. The L is Lois his wife of 53 years. 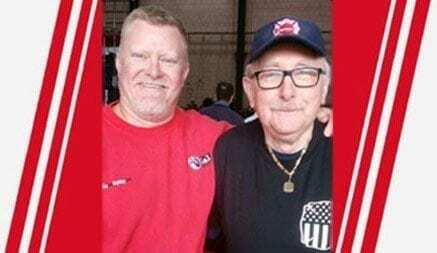 Gene has recently passed the baton to Tim his son, who retired as a police commander in January of 2017. Our main customers are families and friends of those heroes who risk their lives to protect and serve… firefighters and police around the world. Joining them are quiet supporters who choose to show support through different fire and cop merchandise as opposed to rioting on the street. Our strong community of fire and cop fans show their support on our Fire and Cop Corner. G&L Trophies and Gifts is heavily involved with the community through various events and charitable organizations. 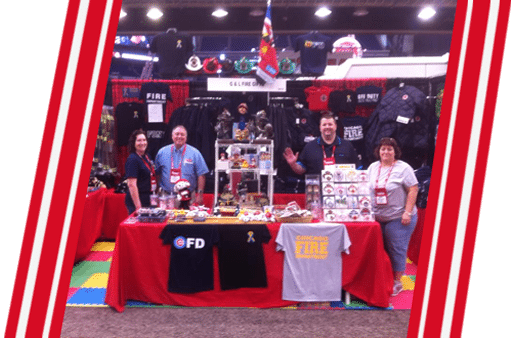 We are present at major Fire and Police national expos and monthly local events that support fire and cop aficionados. Ever since the tragic 9/11 event that shook us all to the core, G&L Trophies and Gifts has committed to helping charitable organizations that help wounded firefighters and policeman during their line of duty and their affected families.